This family-friendly Valente is priced to go and ready for work or play! With the flexibility of 8 seats and plenty of luggage space, theres plenty of room for your team and their every need. A powerful 120kW/380Nm turbo-diesel engine and standard 7G-TRONIC automatic transmission makes driving a breeze and with a combined fuel economy of just 6.3L/100km you will save $$$. 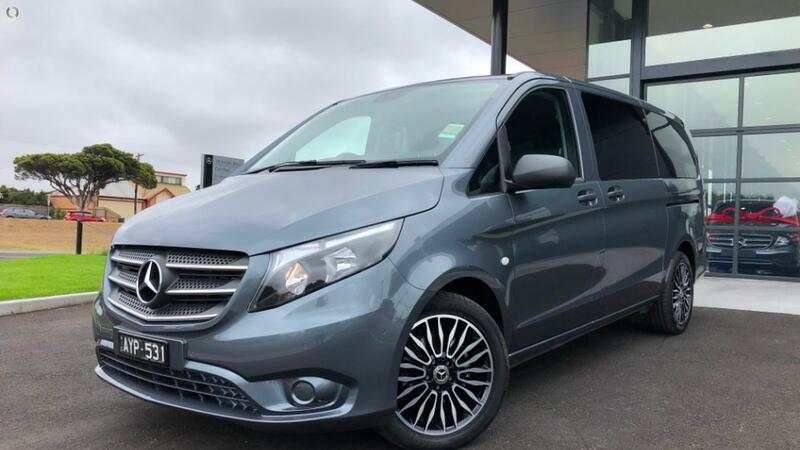 Buy with confidence from the 2017 Mercedes-Benz Rural Vans Dealer of the Year. We are conveniently located just 45 minutes from the West Gate Bridge. Simply click Send Enquiry and one of our friendly, knowledgeable sales staff will give you a call to arrange an inspection and test drive. Mercedes-Benz Finance available. Trade-in's welcome.